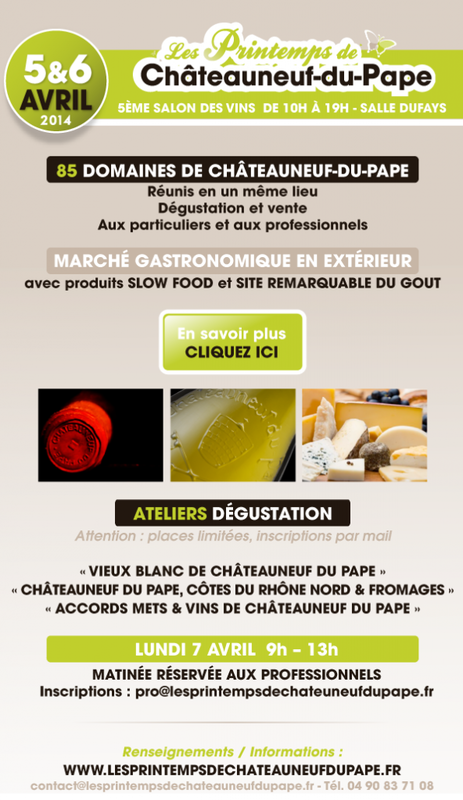 Proud of the success of the first four editions of the Spring of Châteauneuf du Pape, young winemakers of the appellation – initiators and organizers of the event – are glad to repeat the experience in 2014. This wine exhibition already become a must for any wine lover, will be held on 5 & 6 April 2014. It will offer consumers a new opportunity to meet producers, taste their wines directly on stands or in thematic workshops, and enrich their cellar of their favorite wines. 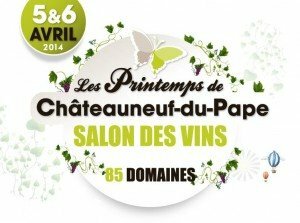 This year marks the 5th anniversary of this wine event, with a novelty: the show opens professionals Monday, April 7th from 9am to 13pm. Vignobles Mayard will obviously participate to the Springs of Châteauneuf du Pape. Come and taste our new vintages !